What is Policy? What is the Policy-Making Process? AMCHP 2019 Annual Conference: Investments in MCH: Strengthening Families and the MCH Workforce. 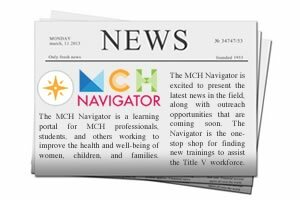 Join us as we exhibit and present on the Navigator.